I have known Don Bartos for quite a few years. He has always impressed me as a dynamic young executive who has a passion for business and for life. He graduated from Eastern Illinois University in 1996 with a Bachelors degree in Management. His career in insurance began shortly thereafter when he joined Country Companies Insurance. After 18 months of learning the business he decided that he wanted to work for himself and started an independent insurance agency. In 1999 the Bartos & Associates Insurance Agency was born. 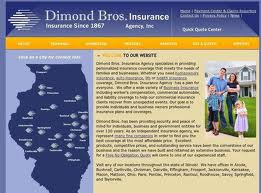 That was the beginning of what we now know as Dimond Bros. Insurance Agency today. *President of DMB Inc., which is a commercial real estate company. Started business in 2007. *President of "Homer’s" a package liquor business located in Paris. Purchased this business in 1994. *President of Eagle Ridge Golf Course located in Paris. The company was purchased in 2011.